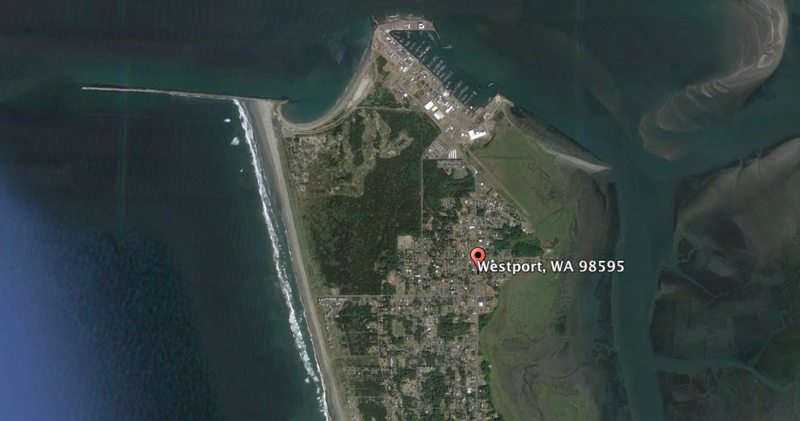 On the coast of Washington, a small fishing town is working on a tsunami shelter that could protect more than half its population during a wall-of-water scenario. Hakai magazine explains why it works, while other communities have shut down efforts to fund shelters. But some communities are pushing forward to create the necessary shelters to save citizens from the wall-of-water scenario. This week, the coastal-science magazine Hakai takes a look at the plan for what will be the first publicly-funded tsunami shelter in the entire United States. The town of Westport, Washington is building a new gym for the town’s elementary school, which will already sit on high ground. The plan is to build a wide, flat platform on top of the gym, which would be large enough to shelter 1,000 people—or more if they squeeze—55 feet above sea level. While we wrote about the plan to build the shelter last year, it’s currently under construction, and Hakai gives us some new details about the structure. The gym will be bolstered by reinforced concrete cores at each corner with staircases leading to the roof. Even if the walls are ripped away, the cores should remain intact through both the quake and the tsunami, Ash said. According to local news channel King 5, the building is getting attention from around the world—especially from other low-lying coastal communities which are considering building their own Tsunami-proof structures. This type of structure, which piggybacks atop another new building, is called a vertical tsunami shelter. They’re becoming more common since they’re relatively easy to build into new projects. In the case of Westport, it only adds about 20 percent to the budget, according to Hakai. It’s hard to say how much you save by building this way, but it’s certainly considerably cheaper than building a a tsunami structure on its own. There are concepts for more specialized shelters out there, as well. Take, for example, a company called STATIM, which is building pill-shaped concrete pods. These “inland lifeboats” are strong enough to take the extreme force of tsunami waves. They’re capable of protecting about 80 people each. While that sounds great, each pod about costs $100,000, according to New Scientist. That means each seat in a pod would cost $1,250. Another shelter, designed by Japan’s Cosmo Power Co., is only big enough to hold four people. But if we learned anything from The New Yorker’s piece, it’s that most taxpayers aren’t willing to swallow even a tiny increase in taxes to create the most basic level of protection. $1250 is simply out of the question. That’s why Westport’s gym project is so important. It shows that these protective measures can be built into other new developments that are already going forward. Let’s hope other communities will follow its lead.